Queen Bey gave her butterflies! 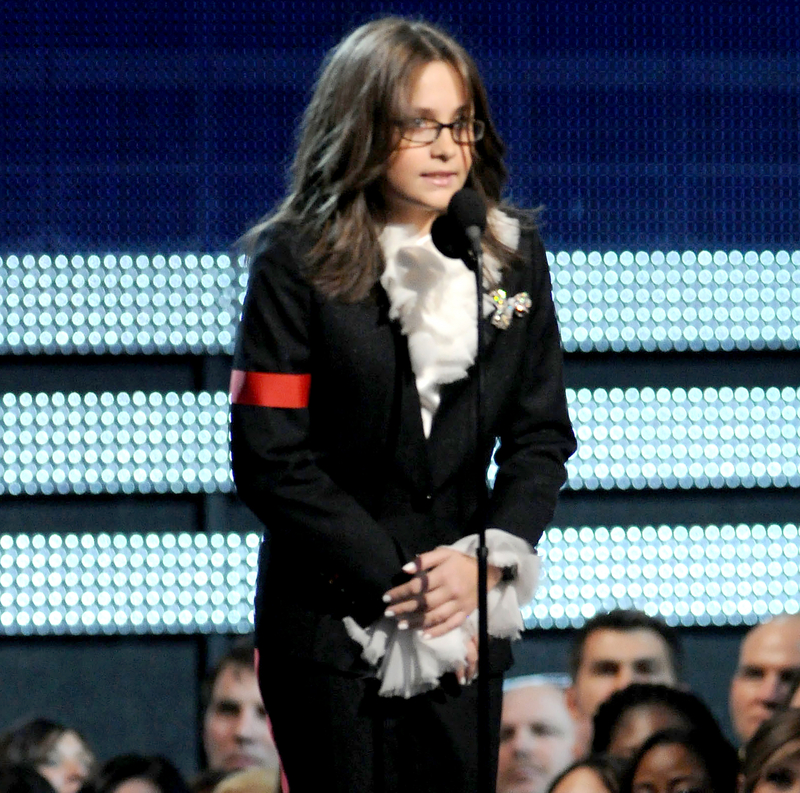 Paris Jackson walked the 2017 Grammys red carpet on Sunday, February 12, at Staples Center in Los Angeles, where she opened up about accepting the Lifetime Achievement Award on behalf of late dad Michael Jackson at the ceremony in 2010. See what she had to say in the video above! Paris’ father died at age 50 in 2009 from acute propofol and benzodiazepine intoxication. The singer-actress — who walked the carpet solo in a stunning, multicolored Balmain jumpsuit — also chatted with Seacrest, 42, about following in MJ’s footsteps and her future in showbiz. The teen scion’s Grammys appearance comes just days after Us Weekly confirmed her split from boyfriend Michael Snoddy after less than a year of dating. “Paris ended things with Michael,” an insider told Us on February 8. However, the source said that it is possible that the two will end up back together. “It might just be a temporary fix until she finds her way back to Michael again,” the insider added.